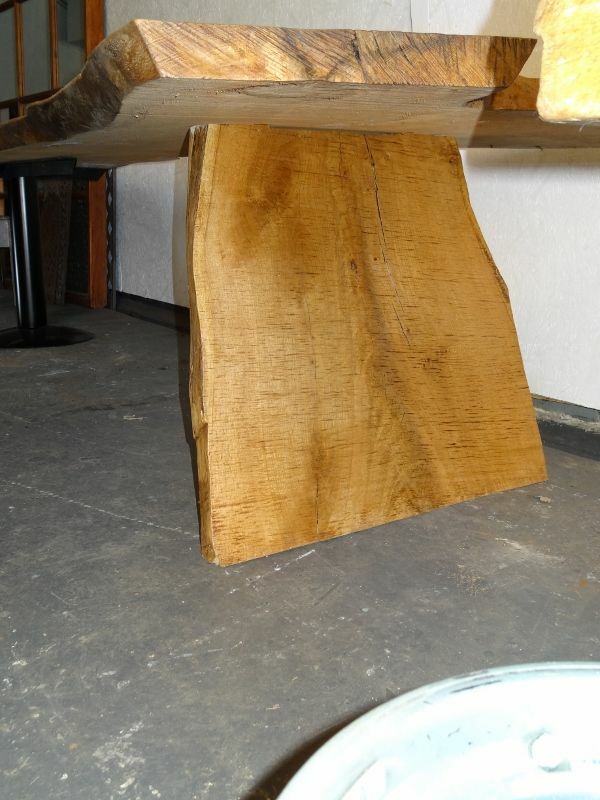 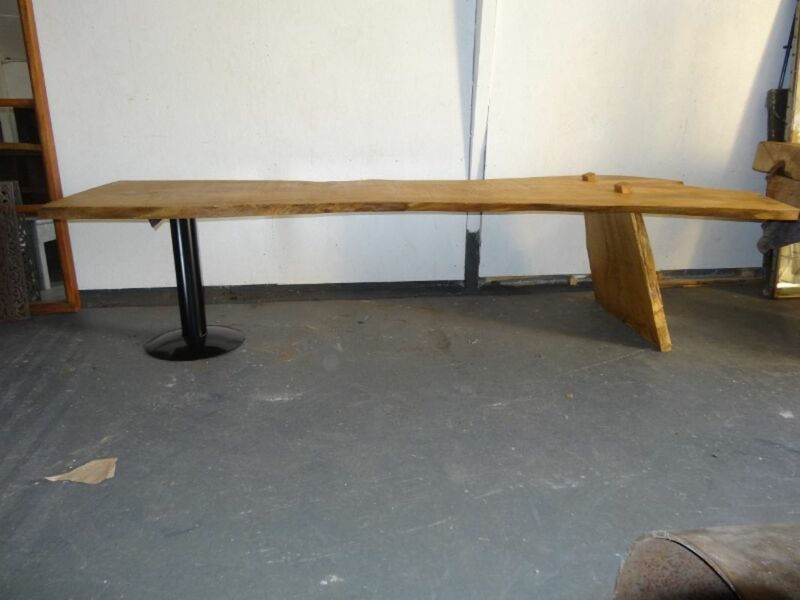 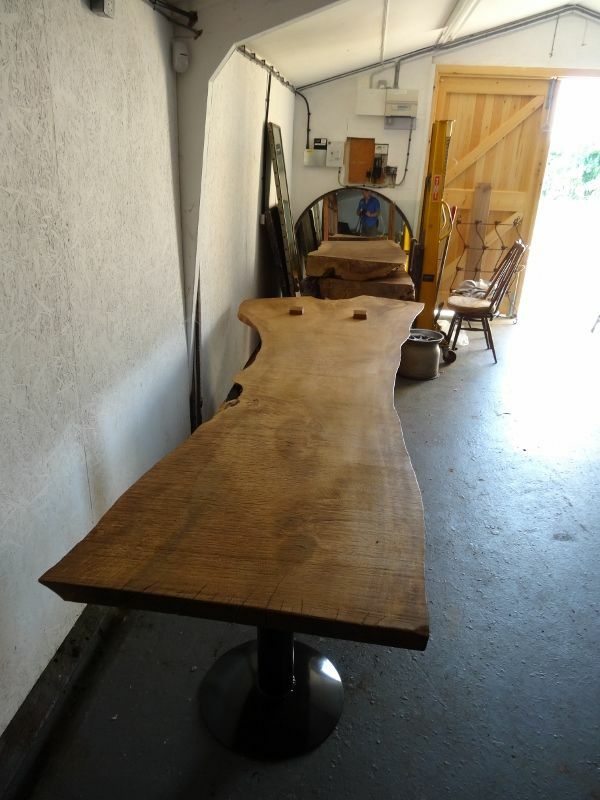 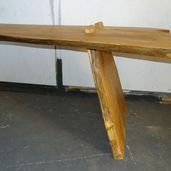 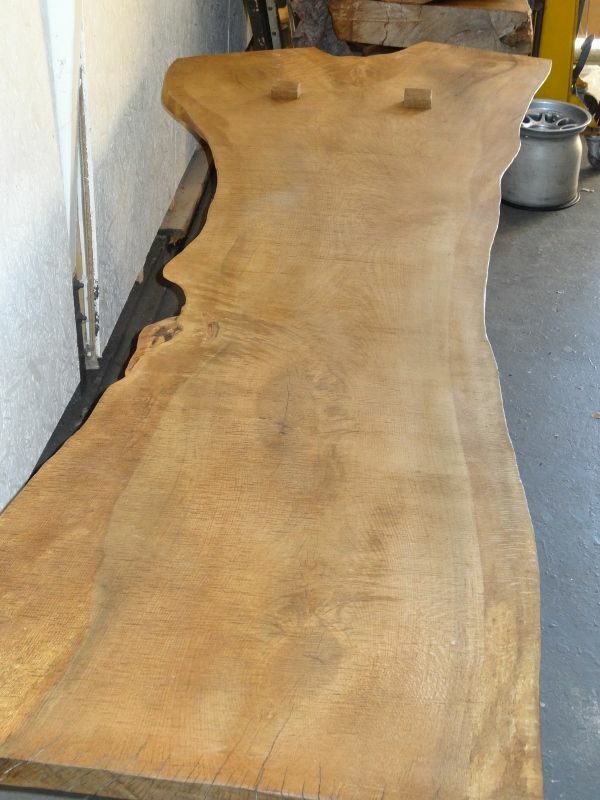 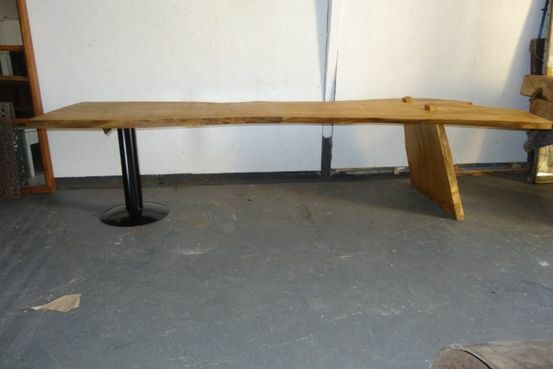 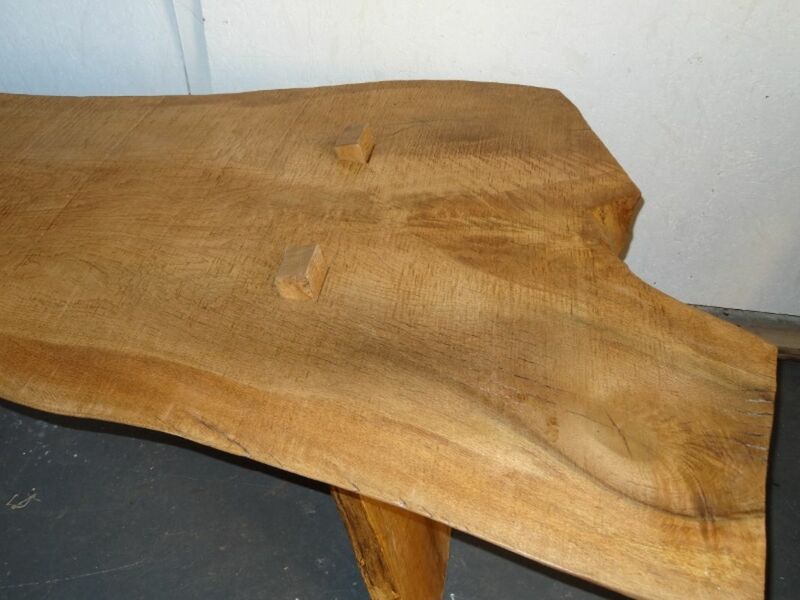 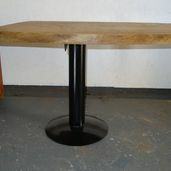 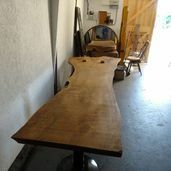 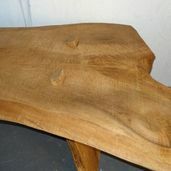 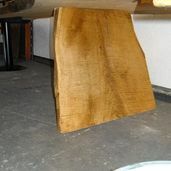 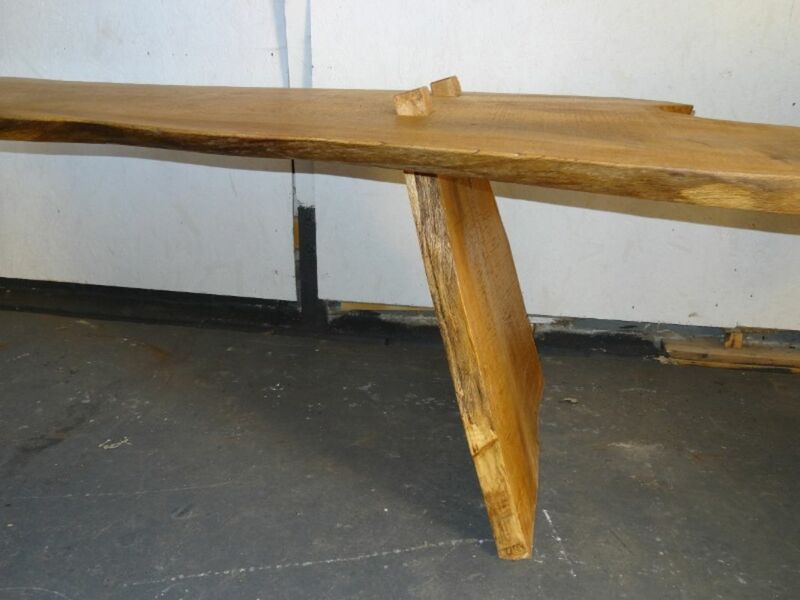 large table made from two oak crotch boards, jointed with a glue less feature joint, the other end is supported with a single 5" 175mm steel pedestal sat over and welded to a reclaimed harrow disc. 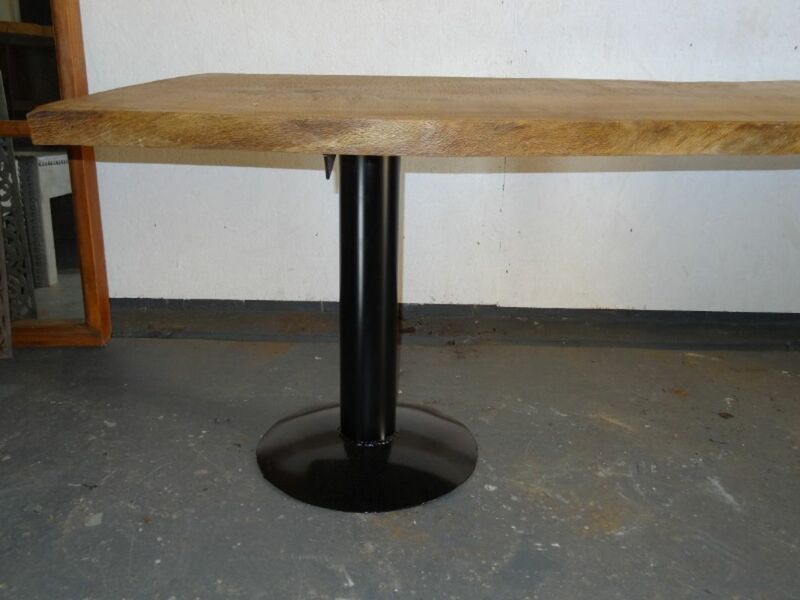 the steel has been sprayed with satin black paint while the oak has been given a waxed finish. 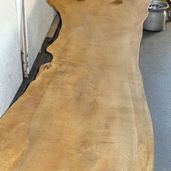 10'3" 3120mm long 47" 1210mm wide at widest end narrowing to 26" 640mm in middle and splaying to 34" 860mm at narrower end.